1. Open base frame of oval tubing which provides extra leg base. 2. 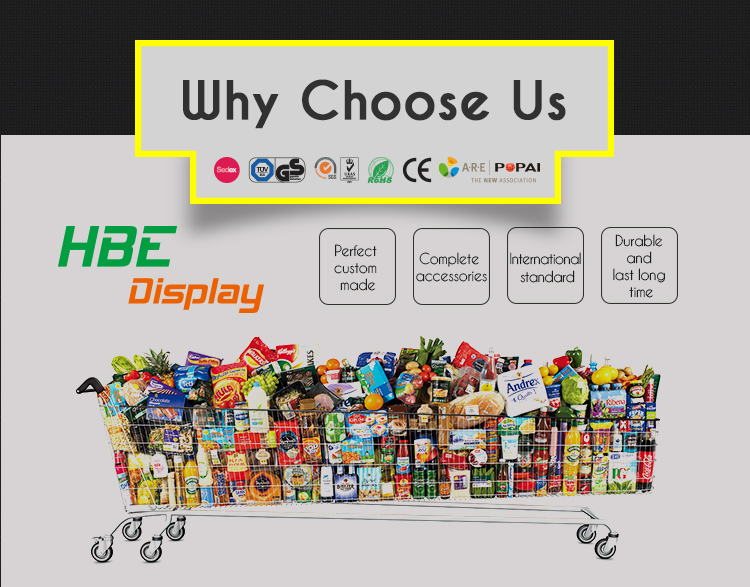 With its comfortable handle height the European style shopping trolley can be easily pushed, loaded and unloaded. 3. Elegant base frame without rack is a most space-saving stacking design. 4. No fuss and safety at the checkout. 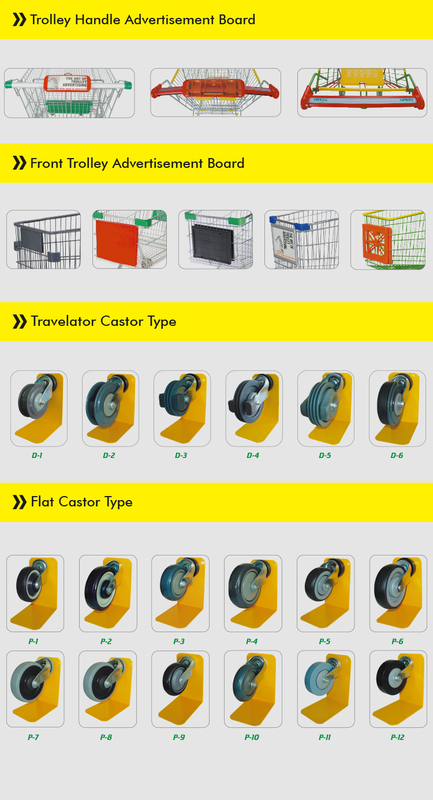 2) Wheel: 4" or 5" inches PU wheels (rubber, elevator wheels are available). 3) Plastic bumper, baby seat, and logo plate can be selected. 4) Logo can be printed on baby seat or push handle. 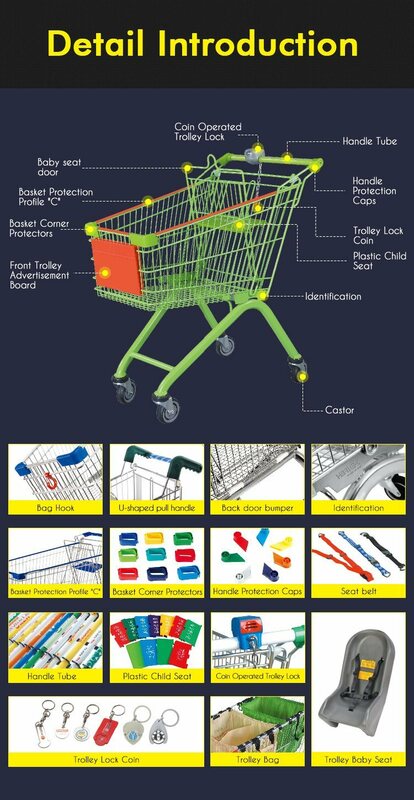 6)Trolley lock (EUR, USD) can be fixed on trolleys according to request. 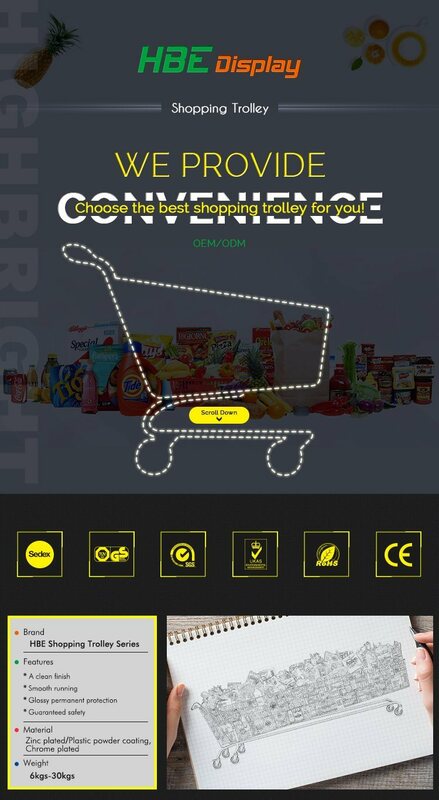 Our plastic trolley are product by ourself factory, We ensure the quality and service after your buy our plastic trolley. Meantime, we pass the ISO 9001 and CE certification.